In an unprecedented move, BCB has formed a selection committee that will identify and select the committee that will chose the initial 31 man squad for the next year's World Cup. BCB sources has indicated they have obtained the services of the best selectors with vast prior experiences. 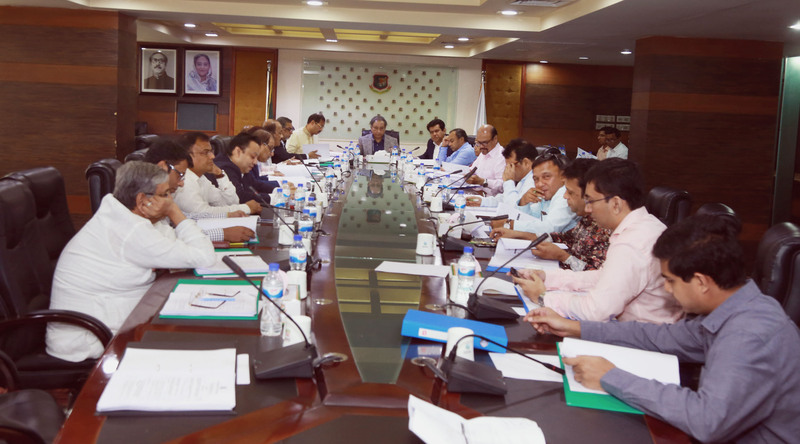 BCB Chairman Nazmul Hasan Papon endorsed the committee last night and was voted in favor by the 31 or so directors of the board. One of the directors emphasized the need to form a selection panel to form a selection committee "We have noticed our selectors are not up to their job most of the times. We have seen promising leg spinner Tanbir Haider being selected for one tour only to be dropped for the next series. The selectors were not able to provide satisfactory reason for that and plenty of other team selections". It was also learned that this idea was first introduced by one of the directors who is a part of the brainstorm committee and which exists to come up with such brilliant and innovative ideas. Beside the various excruciating and lengthy overseas tours on BCB's cash, this committee provides the most direct impact to BCB. The likely committee will consist of five current directors. These 5 directors will be led by Abrarul Hoque Abrar and will be tasked with choosing 3 selectors. Mr. Hoque said "We will be traveling to Australia and England in the next few months. We still have more than a year left for next world cup and thus patience and thorough research is necessary. The timing also works because my nephew is getting married in London next month and I can attend the festivities". This will be the first such initiative in the traditional but fast evolving game of cricket. "We want to be at the forefront on innovation in management. We want more committees because it results in transparency and efficiency. We are doing the next step now where we are creating committees to create committee"
Meanwhile cricket experts in the country are skeptical of these changes. Prominent fan and part time photographer and newly minted moderator Rinatuzzman Bepari exclaimed "This is all moola jhulani (carrot in a stick) situation. I am very displeased and my fellow fans share my sentiment". But sources also indicate there are future plans to create another organization that will oversee BCB who in turn will manage Bangladesh cricket. Nera ekbaari Bel tolai jsi. Ekmatro aklemalp baar baar Jai. Is it 1st of April today? Not that hard to believe it as I only heard about committees and sub-committees in every aspect of governance on the BTV news when I was a kid.